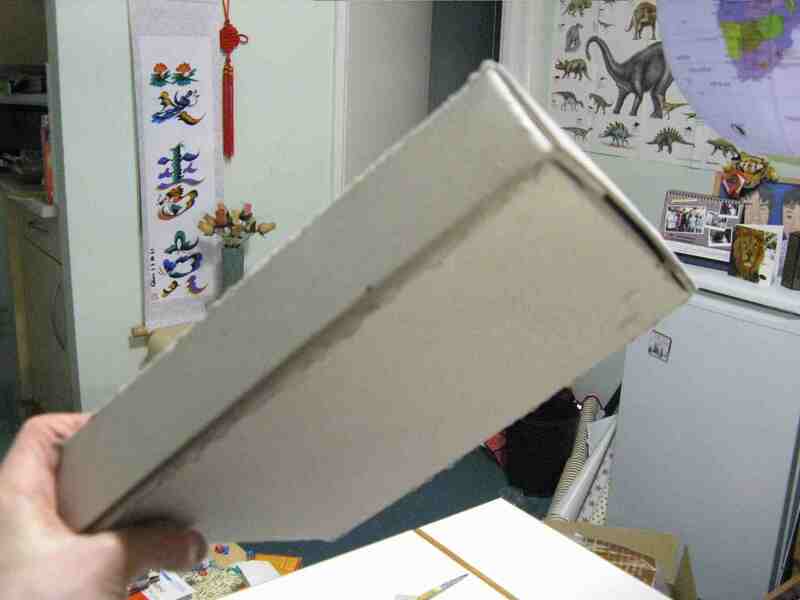 As the title says, this post is about making a box out of cardboard. It may sound quite simple but I had trouble finding a template online that told me where to cut and glue ect. Therefore, I thought it might be quite useful to post the method I used here in case anyone wants to do a similar thing to me. 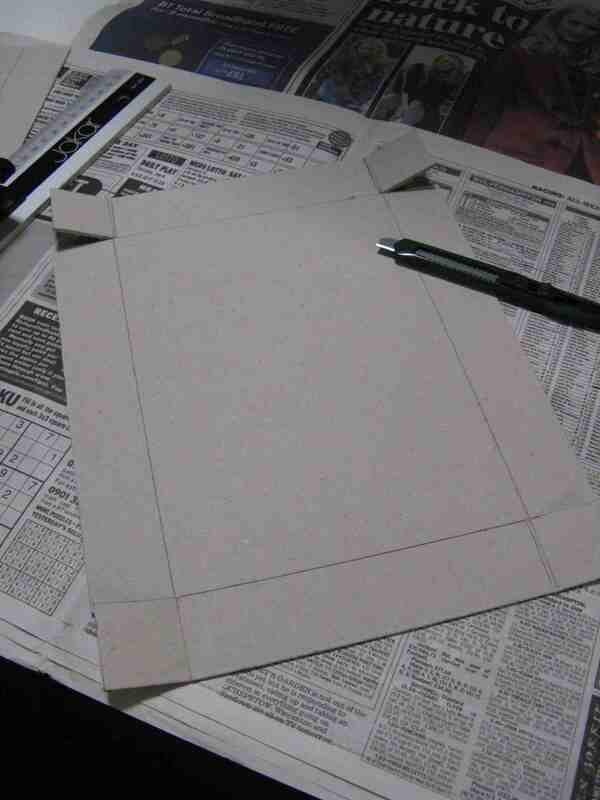 Step one: Mark the template for both the base and the lid on a sheet of card. The lid should be able to fit completly over the base. Therefore, the top section of the lid should be slightly larger than the bottom section of the base. The top section of my lid was 23 * 16mm. The bottom section of my base was 22 * 15mm. The sides of both the base and the lid were 3.5mm in height. 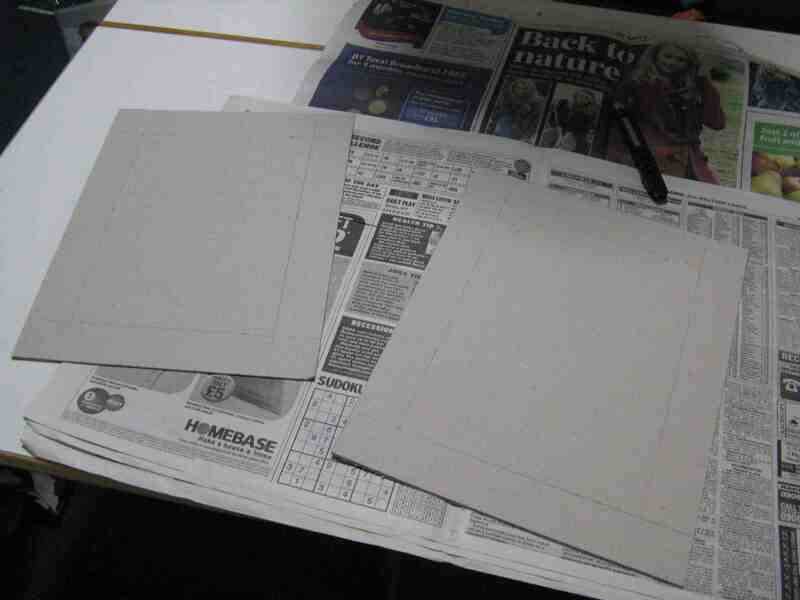 Step two: Using a knife, cut round the edge of the template for both the base and the lid. 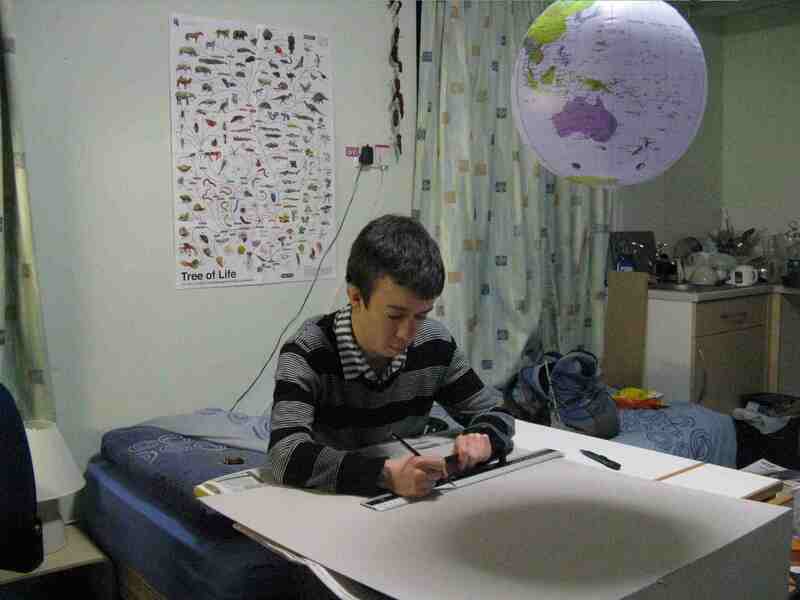 If you want to end up with stright lines (and all fingers intact), it is advisable to use a metal ruler here. Step three: Use the knife again to score the folds of both the base and the lid. Also, cut out one side of each of the flaps. 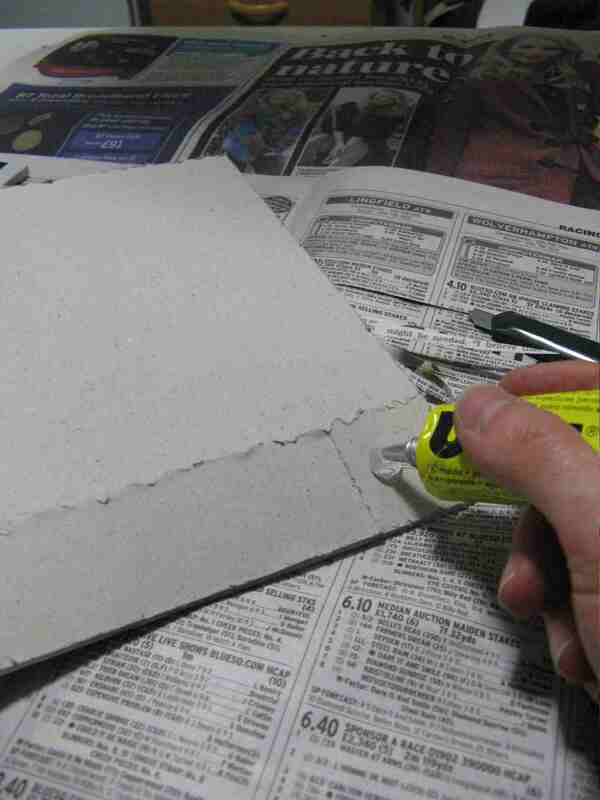 Step four: Apply glue to the reverse of each flap. It is probabily a good idea to do just two flaps at a time. If you want to know why this is a good idea, go ahead and glue all four flaps at once. Step five: Stick the flaps onto the sides of the base/lid. 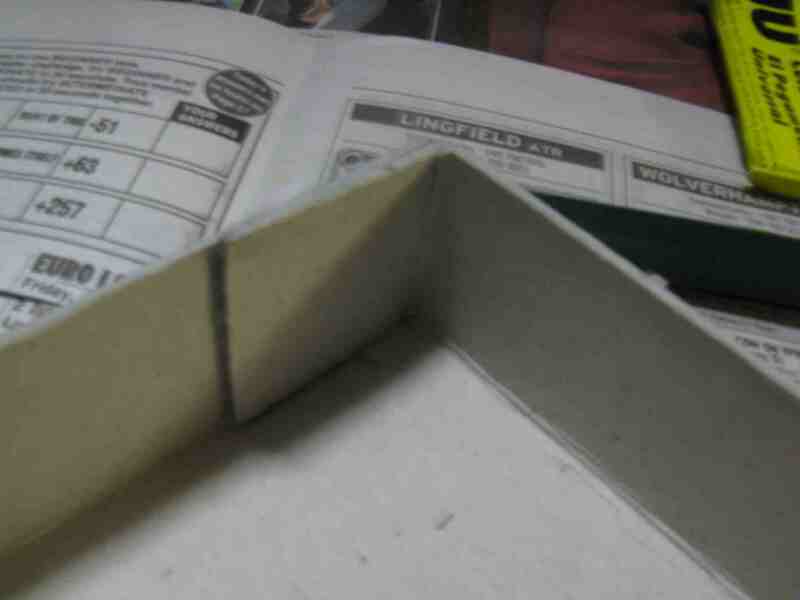 If you have trouble bending the sides, score the folds a bit more deeply. You may need to hold the joins while the glue dries. This is the very moment your mum will phone you… be strong, don’t answer, keep holding those joins. 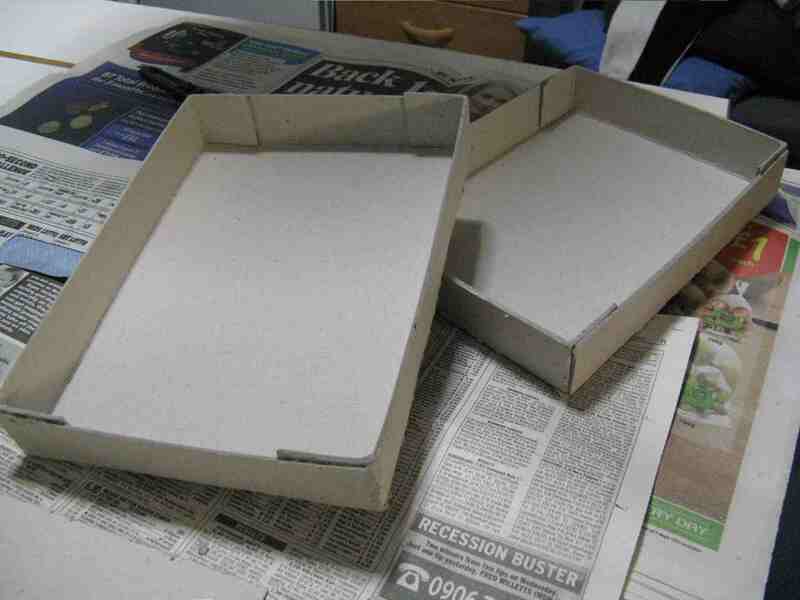 Once all four flaps have been glued to the sides of both the base and the lid, you should have somthing resembling this. Hopefully, the base and the lid should fit snugly together. If they don’t fit snugly together… no, I’m sure they will fit perfectly.